Combining contemporary styling with a traditional tongue and groove effect centre panel in easy to care for vinyl. Boston brings a spacious and warm feel to your kitchen. 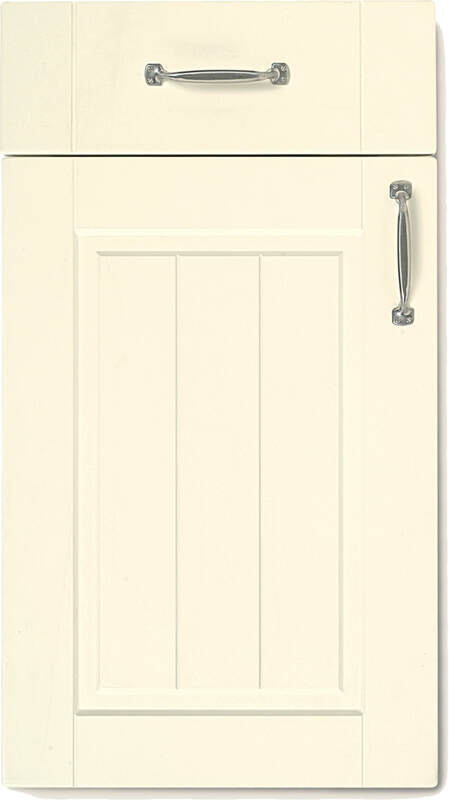 Door Construction: Vinyl Wrapped 18mm 5 piece effect door with T&G centre panel. Glass type: 4mm Satin tinted toughened glass.